Crossfire: Reopen the Obamacare law? 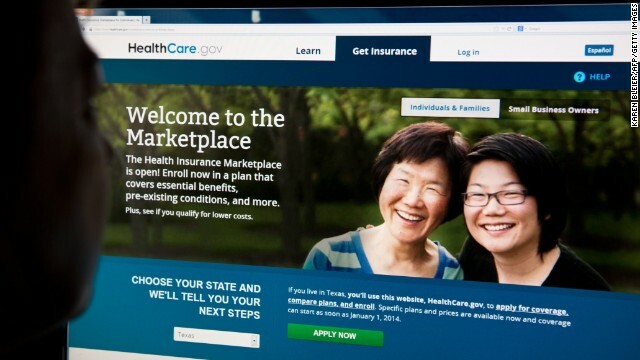 A new poll shows President Obama's approval rating has dropped to a new low, and according to a report, fewer than 50,000 people have successfully signed up for health coverage through the Obamacare website. Additionally, President Bill Clinton is calling on Obama to "honor the commitment" that people who like their insurance plans can keep them. In the Crossfire, talk radio host Thom Hartmann and Weekly Standard editor Bill Kristol join Stephanie Cutter and Newt Gingrich to debate. We want you to weigh in: Is Bill Clinton stepping on Obama’s toes by weighing in on Obamacare? There are always those accusations that the Democrats are as bad as the GOP when it comes to being owned and controlled by “the money” but there really is little to substantiate that and actually it is completely illogical. Yes, there are some large donations given to the Democrats and I’m sure there are pressures along with them but it is simply so totally obvious that is a trickle compared to the very large waterfall that is given to the Republican / Tea Party. Even just considering that “the money” has far closer ties, both physically and philosophically, with the GOP dispels a lot of that and then add that the GOP is far more organized in that effort with the likes of Norquist, Cheney, Rove, the Koch brothers and others who aggressively use the mega-bucks to solicit, intimidate, coerce and control the “puppets”, to assure total unity for “the money’s” purposes – there is no equivalent on the Democratic side. It isn’t uncommon for people to rationalize that these things are equal in order to justify their loyalties and biases but in the end, without regard for political preferences or beliefs, “the money” will control the “puppets” and not have any conscience for the majority, just taking the people for granted as being “pawns” to be duped, used and abused. The proof is constantly seen in the results and then in the abundant propaganda used to con the people and manipulate public opinion – with the majority, including the total middle-class, always paying the price, whatever party they supported. interesting that you argue that the idea of "equivalence" is unsubstantiated by empirical data while engaging in an opinion piece that is unsubstantiated by empirical data. both parties are hopelessly corrupted by the influence of corporate money. arguing that one is worse than the other is akin to arguing whether a lion bite hurts more than a grizzly bite. but, hey, whatever helps you sleep at night, right? The entire ACA law needs to be moved to 2015 for everyone, except for what's already been changed in the health care providers that's already working and covering pre-existing conditions needs to remain in place.This law is unfair, to grand, to complex, to technical and to costly. The entire law needs to be reformed. 1. Require all people to have insurance in 2015. Fined if don't comply. 2. Require all health care providers in 2015 to meet all standards in the ACA. Fined if don't comply. 3. Require all business to provide insurance to all employees, regardless to the number of people are employed. Fined if don't comply. 4. Require all states to bring in all people who are eligible for Medicare and Medicaid, who need assistance due to lower income but are not listed as disabled, seniors or a veterans. The people who are fully physically capable of working part time and or full time hours, who are at a lower level income. 5. Require all people who are working part time and full time, who will receive Medicare or Medicaid to pay more into taxes, to where people are not getting health care at 100% free. The people who are not disabled, seniors or veterans. Everyone who's working has to help absorb the health care costs in some way or another. 6. Shutdown the costly website healthcare.gov because there are thousands plus of insurance companies who are online and ready to go. If the site is not ready in the end of November, there's no guarantee to anyone when the site will be fully functional and how long will be up and running until it has consistent problems again. People won't be able to enroll anyhow and the costs will continue on as to where no one can give a true answer as to how long because, no one really knows 100% sure the real answer. 7. There are not enough health care providers entering into these exchanges to even make the new law work. 8. Everyone has a right to chose whatever insurance company that they wish to. In the end all insurance providers will be more competitive, more involved and will lower costs because they will all be providing the same general service to everyone. They will need to lower costs to keep and receive in new business and stay competitive. The way the law is set up, it's not giving everyone the access or the affordability to where they can get insurance. There will be to many lower income families who will have to do without insurance all together because they cannot get the assistance that the law was promising to help them with. To many families are being dropped and some may not receive the insurance at the same cost that they were paying. The law really just needs to be changed, not defunded or repealed. It just needs to meet the needs of the American people. It's not benefiting everyone the way it was intended to as planned. This is why I am saying changes need to be made. It's so obvious to everyone that changes need to be made. Hey. It's Affordable right? So why need to open again? OK. Old Gunderson agree. Open, delete, fold, spindle, file, forget. That about to happen. Obamacare wasn't ready by a long shot and the website after 3+ years was clearly not ready either. Along partisan lines democrats passed a bill they never even read. Somehow "I told you so" just doesn't say enough. The GOP Solution: Turn all the Old, Sick, Poor, Non-white, Non-christian, Women, and Gay people into slaves. Then whip them until they are Young, Healthy, Rich, White, Christian, Male, and Straight. Or until they are dead. Then turn them into Soylent Green to feed the military during the next "unfunded/off-the-books" war. And don't forget the GOP all time favorite.........TAX CUTS FOR THE RICH!!! You still need Nanny State? OK.
Make up asinine straw man claims about what "Republicans" really want to do, instead of discussing things on merits. Obamacare belongs to the democrats, they own it. They didn't want suggestions so they can fix it all on their own. Dear Ms Pelosi: Perhaps you should have read the law beforeit was passed? She was too busy celebrating, with Stephanie Cutter. The ACA was ill-advised from the outset. Insurance rates are based on health care costs. People shouldn't be forced to purchase insurance until after health care costs have been brought under control. Otherwise, you are forcing people to purchase a product at a much higher initial cost. A hospital or service provider shouldn't be able to charge you $15 for an elastic bandage that costs under a dollar at a pharmacy down the road. Until there is a bipartisan effort to willingly take a stand on the health care costs and ignore the special interest lobbyists, something like the ACA will never be practical or reasonable. I was told by the computer that I would get 3 quotes. That was 2 weeks ago. I have only been approached once, by telephone. An agent made me an offer over the phone. When he heard about my preexisting condition, he started to back away. He made me an offer. I told him that I would have to think about it. I asked him what the name of his company was ( I did not get it the first time over the phone.) He had already hung up. Wait until this cranks up in 2014 and the democrats start getting notices , and when they file their taxes in 2015 and have to pay a couple of thousand dollars (a tax fine)..... just wait, this is going to so backfire , and your going to have alot of angry people out there. You may have alot of angry people out there but they'll still throw their support behind obama and the other progressives. That SNL skit "How's He Doing" wasn't so much comedy as it was a documentary. You are kidding me when you ask will the GOP help or sabotage Obamacare. For the past 4 years, the GOP has tried to stop this train wreck. They have tried everything. How dare you try to blame this fiasco on the GOP. Typical though. I am a Democrat, or should I say, I was. It is disgusting what Obama is doing to the middle class. I will never vote Democrat again. Thank you Obamacare. Was it worth it?? Quite often we are blinded by believing things are what we want them to be. That is the case with this president. He did not live up to the hope and change he preached. His administration is the most secretive, exclusionary and elitist presidency in modern history. He is the exact opposite of what we were promised. I have the same opinion of this "president" that I had as he was crammed into our lives relentlessly several years ago. I think he is inexperienced, egotistical, fake, shallow, dishonest, disloyal to our nation, and therefore, very bad for our country. I cannot stand him or his hypocritical, strange wife. I cannot wait until they and all they stand for are gone, gone, GONE. Cutter should stop pontificating and let her guests talk. She gets in the way - ego? To the comment regarding the millions of Americans losing their healthcare policies-that they were "inferior policies" and need to go-we are better for it?-That sir is not for you to say or the government to say -If I am happy and want to keep my policy I expect to have the freedom and choice to keep it-unfortunately the new law is abolishing policies (taking away the American peoples freedom of choice) that millions of Americans were happy with and could afford-leaving the policy alternatives available via the Affordable Healthcare Network which are not affordable and have ridiculous deductibles. When your choice cost ME more money because I have to pay for a hospital stay that is not covered by you inferior plan, then you lose the freedom to make that choice. That is part of living in a society. You're failing to grasp that everything you purchase has an additional cost built in to cover losses incurred by the supplier. Hotel room rates include the cost of stolen towels. A gallon of milk includes the cost of spoilage. Mortgage rates include the cost of defaults and foreclosures. And yes, the cost that you or your insurance company pays for medical services includes the cost of people that receive treatment and can't pay for it. This is fundamental economics. The solution is not for the government to make laws to insulate everyone from what is a real and legitimate expense. That's called central planning, which has never worked in recorded human history (see USSR, Cuba, North Korea, Venezuela for modern examples). Health care will always be expensive, especially in the United States where we have the best care in the world, but the best way to lower the cost and increase access is for consumers to NOT be insulated from the transactions by employers, insurance companies or government. Why are you assuming that because I choose to not purchase insurance and I stay in a hospital that YOU would pay for it. Many private pay people DO, in fact, pay their hospital bills in full over time. It's called a payment plan. How dare you think otherwise. I only have access to 6000 dollars in cash per year as income. I only have 40000 in available assets. If I had a serious health issue, even with insurance, I think I would go broke. I have been paying for a discount policy for several years, but now I think even that is not enough. It isn't like the healthcare system we had before ACA was working. How about the House and Senate get together and fix it. I mean it works in all the other countries that pay one third of what we do and rate better in care. The problem is that the Senate and House are a bunch of rich guys looking for more money. That is why the SCOTUS betrayed the US public by allowing finance as free speech. They are not the same and we need less finance controlling politics.